Heritage may be the most overused word in the fashion lexicon. We buy into the heritage of a brand as much as we buy into the cut and colour. Heritage is what sets a company apart from its rivals. Some brands have heritage reaching back generations, slotting nicely into the current sepia-tinted climate, and some brands have to manufacture it. And lo, it came to pass that Katie dragged me to Primark’s press day. I can confidently call myself a conscientious objector when it comes to “Primarni”. A career in textiles means I know what corners are being cut to achieve those price points, but I understand the need for fast fashion, high volume retailers, especially when disposable income is at an all-time low. 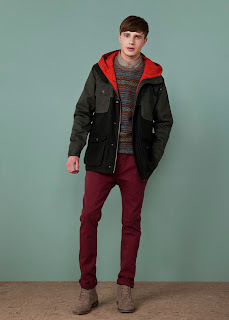 Primark’s Autumn/Winter menswear collection is going to make a lot of people sit up and notice, especially Topman, as they both have that slightly vintagey, jumble sale find countenance. Plaid shirts feature corduroy shooting patches, parkas are practical and robust, and tweed features heavily. 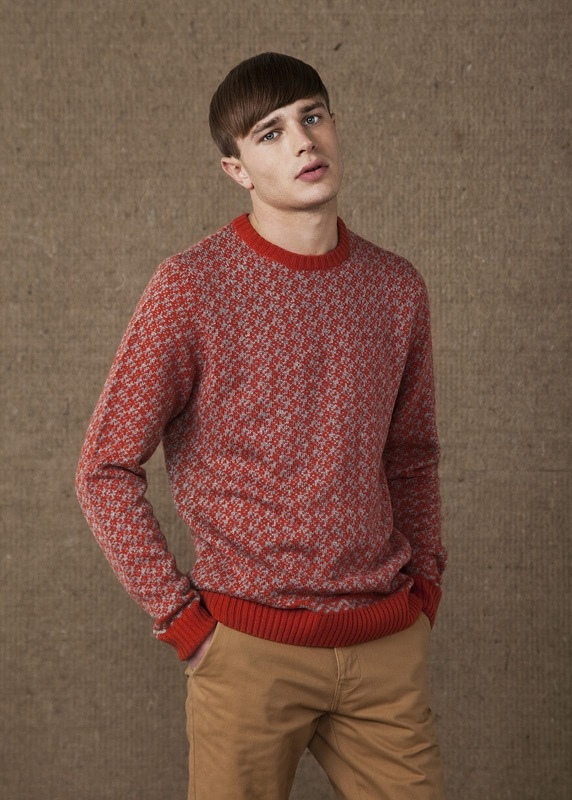 As ever there are some subtle steals from spendier labels – knits have a touch of Jonathan Saunders about them, and a couple of shirts printed with animal motifs could be mistaken from a distance for Marc Jacobs. It’s not all a glowing success, a blackwatch tartan shirt with rounded collar was always going to smack of ‘Brigadoon’, but the resulting collection is an effective, if soulless, take on classic British style. I probably won’t buy it, but I know a lot of people who will. From cut-price to cutting edge, a walk across town led us to a presentation for TOBEFRANK. This fledgling label, designed by Huddersfield University graduate Frances Phillips, is only in its second season yet represents a masterclass in how to distill brand value. Fiercely British, components are sourced from across the United Kingdom, and an attached USB swingtag details the provenance of each garment, whilst the fundament of each collection comes from Phillips’ own ancestry. 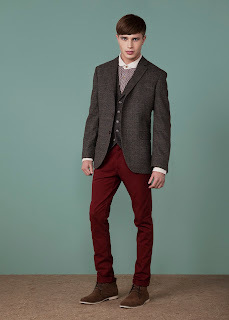 The TOBEFRANK silhouette is defined and masculine, merging modern and traditional tailoring. The primary palette of next Summer’s collection is influenced by the bright waterproofs of the coastal fishermen the designer spoke to whilst researching her Great Auntie Fifi, who emigrated to Australia with her family in the early Fifties. Fresh from Vauxhall Fashion Scout’s Ones To Watch showcase, Phillips is obviously still finding her feet and the collection could benefit from some judicious editing, but I fully expect a stronger handwriting to emerge over the next few seasons. Most importantly TOBEFRANK demonstrates an ever-growing movement in British fashion, one which supports British manufacturing and, for that, Frances Phillips should be applauded. Article by Lee Clatworthy (@TeamChutzpah) for Katie Chutzpah blog.